About the Author: Melanie Griffiths is a former COMPAS DPhil student and is currently an ESRC Future Research Leaders Fellow and Senior Research Associate at the School of Sociology, Politics and International Studies, University of Bristol. She is leading the ‘Detention, Deportability and the Family: Migrant Men’s Negotiations of the Right to Respect for Family Life’ project, examining the family lives and Article 8 rights of men at risk of removal or deportation. This article originally appeared on the blog of COMPAS: the Centre on Migration, Policy, and Society (COMPAS) is a Research Centre within the School of Anthropology and Museum Ethnography at the University of Oxford. Earlier this week my friend Amir and I went to a prison near Oxford to visit our mutual friend, Musa, who is serving a prison sentence of a few months for handling stolen goods. It’s a low security, small prison and, according to Musa, as prisons go it’s not that bad. But this prison is unusual. This prison only incarcerates foreigners, meaning that its social and legal functions go beyond ‘simply’ punishing and rehabilitating offenders. The realisation that something special is going on begins during the long process of entering the prison for a visit. Standing outside the gates with the friends and families, the diversity of languages and passports on show are striking. Once inside, there is a heavy air of dread hanging over the visits hall, despite most of the men’s short sentences and light offences. The threat of deportation is ever present, because prisons like this one operate through a dual logic of criminal justice and migration management. The process of forcibly removing someone like Musa from the country first requires his social mortification. Despite political promises to increase deportation rates (most recently made in the USA, by President-elect Trump), expelling inhabitants, even those with criminal records, is a complicated business. Lengthy legal processes of disentanglement and Othering are often required to make them legitimately deportable. Contrary to the seemingly straightforward indication of alterity presented by labels such as ‘foreign criminal’, ‘immigration detainee’ or ‘illegal immigrant’, in many cases people like Musa are socially embedded, long-term residents, who may even have family members (including British ones) in the country, giving them grounds to claim to belong. Foreign national prisons – and the Immigration Removal Centres (IRCs) that offenders move onto after completing their sentences – are spaces where this messy business of boundary-making occurs: where attempts are made to separate citizen from non-citizen, the ‘good’ migrant from the ‘bad’, the deportable from those who can successfully assert a claim to belong. Musa is still in this process of disentanglement. Although he is clinging onto the fast approaching end of his prison sentence, he knows that that might not be the end. Musa claimed refugee protection in the UK well over a decade ago and now has indefinite leave to remain, as well as a home, long-term partner and friends in Oxford. However, he also has a deportation order as a result of being branded a persistent offender. As Musa explains it, on the day his sentence ends – and not before – he will discover whether he returns to Oxford as a reformed local, or is transferred to an IRC as a foreign criminal. He is resigned to this last minute revelation, finding it impossible to predict or make sense of people’s trajectories through the migration system. The process of forced removal works by first individuating a person; attempting to separate them from their private and family life in the UK. And yet immigration enforcement is a social phenomenon, with the boundaries of IRCs extending far beyond the incarcerated individual. In the UK, 32,000 people lose their liberty to immigration detention each year, with many more living with the threat and/or memory of such experience. 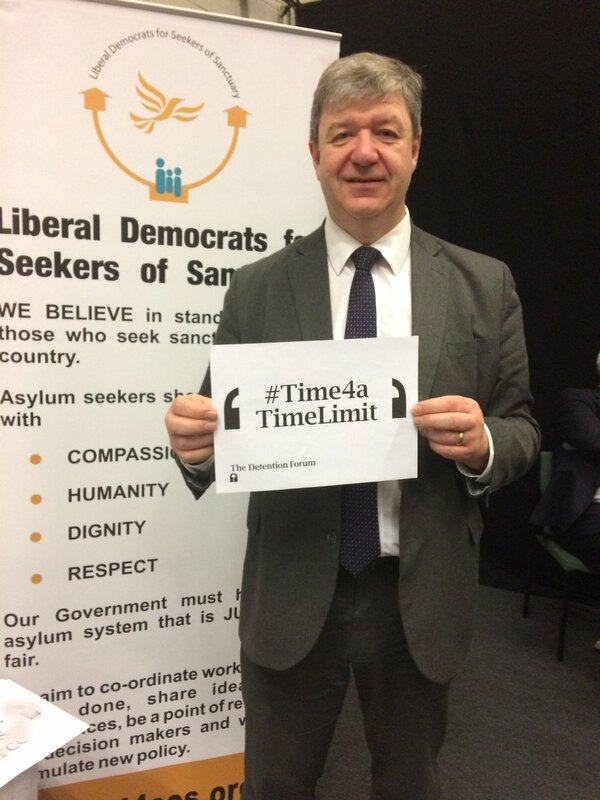 If we also consider the friends, families, communities and workplaces in the UK and beyond that are indirectly affected by someone’s detention, then we see that immigration enforcement is part of an enormous number of people’s ‘social universe’, even if they are never themselves detained. For asylum seekers and other precarious migrants, the spectre of immigration detention is a disciplining force, reminding them of their own vulnerability and encouraging docility and compliance. But immigration enforcement not only harms non-citizens. Indirectly, it affects the hundreds of thousands of Brits who are connected to ‘detainable’ people by friendship, love or blood, a topic I am researching. Shockingly, as a result of the ongoing degradation of the rights of dual- and naturalised-citizens, immigration enforcement also directly threatens a growing number of British citizens. The line dividing foreigners from citizens is imagined to be clear and absolute, but in reality is blurry and requires constant (re)iteration. It is also moving and increasingly, when Amir and I visit friends in foreign national prisons or detained at Oxfordshire’s IRC Campsfield House, Amir is reminded of his own precarity through the experiences of his less fortunate co-ethnics. Amir is a refugee and although he now has British citizenship, developments such as increased rates of depriving dual and naturalised Brits of their citizenship, means that he remains precarious despite naturalising. In today’s Britain, Amir is indelibly Other, despite the identical British passports that we use as our IDs on these visits. 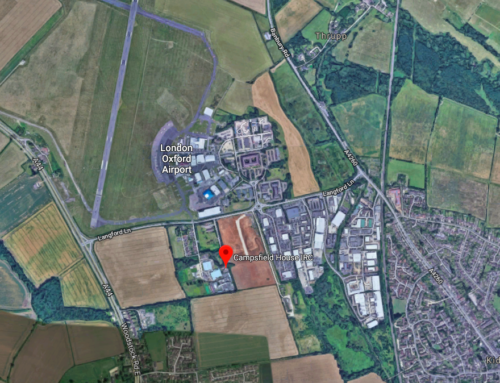 Campsfield House is only six miles away from COMPAS, and yet such sites, and indeed the very practice of immigration detention, remains peculiarly out of sight. 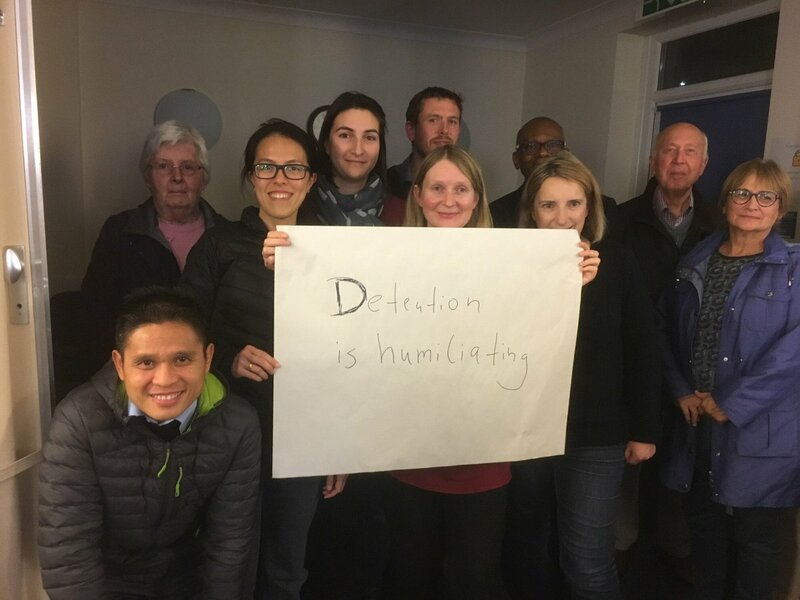 Attempting to raise awareness, the Detention Forum’s online initiative #Unlocked16, undertakes an annual two month-long virtual ‘tour’ of the UK’s detention estate. 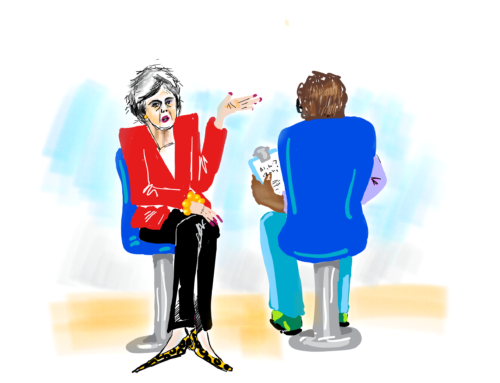 Now in its third year, this social media project ‘visits’ every site of immigration detention in the UK, including Campsfield this week and prisons previously. Tweets, blog posts and an interactive weekly Twitter-based Q&A with someone currently detained, help shine a spotlight on immigration detention. This year, #Unlocked16’s theme is ‘Friends and Family’, acknowledging that in addition to people actually detained, immigration detention affects those like Amir and the families we waited with at that prison. Fundamentally, as Musa and Amir show us, immigration enforcement is a phenomenon that goes beyond the detained individual and traditional IRC sites, and that is entering new places and encompassing new groups. This is a trend some years in the making but that is accelerating with policies that lengthen and entrench the precariousness of non-citizens (and increasingly also of new and dual-citizens), and that multiply the spaces in which immigration checks and exclusions occur. Given the centrality of migration to the UK’s recent EU referendum and the pledges by President-elect Trump to deport millions of people from the USA, we can be certain that immigration enforcement will remain high on political agendas worldwide. 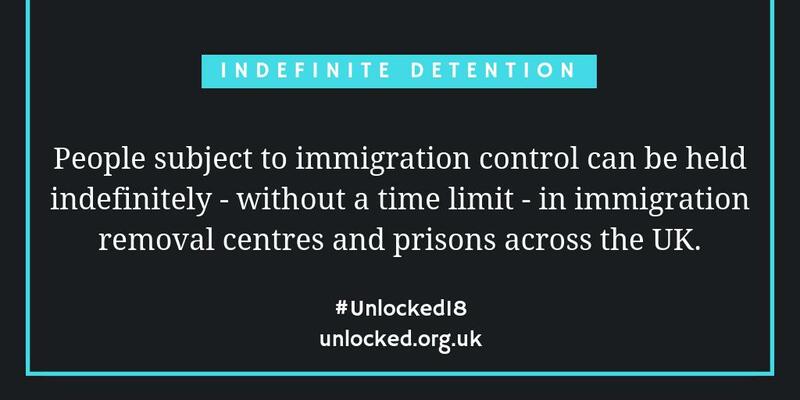 We urgently need to debate the role of immigration detention in boundary making and I’d urge you, whether or not you have (yet) been touched by the practice, to explore and participate in #Unlocked16.